Home » 2015 New Year Party @Muldwinda!! It’s a brand new year, and we feel like celebrating! The team here at MMPK have big plans for the makgeolli industry this year, and we thought, what better way to kick it all off than with a party? We sat down with the team at Muldwinda & Susubori Academy to put together a shindig of deliciousness. 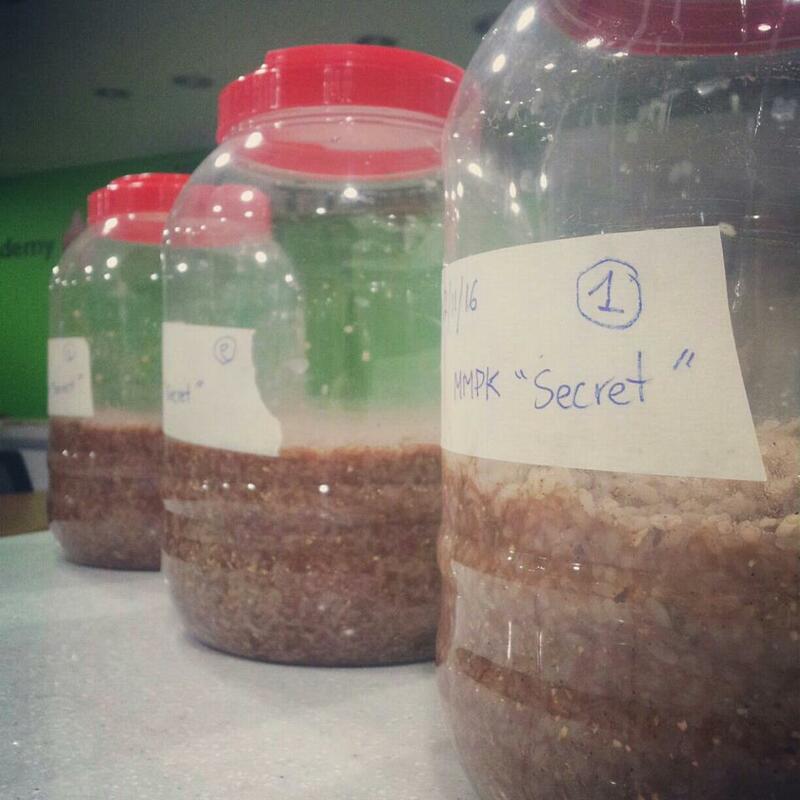 Myself and Papa Dan have been beavering away in Susubori Academy, brewing up a special makgeolli to give to each guest. 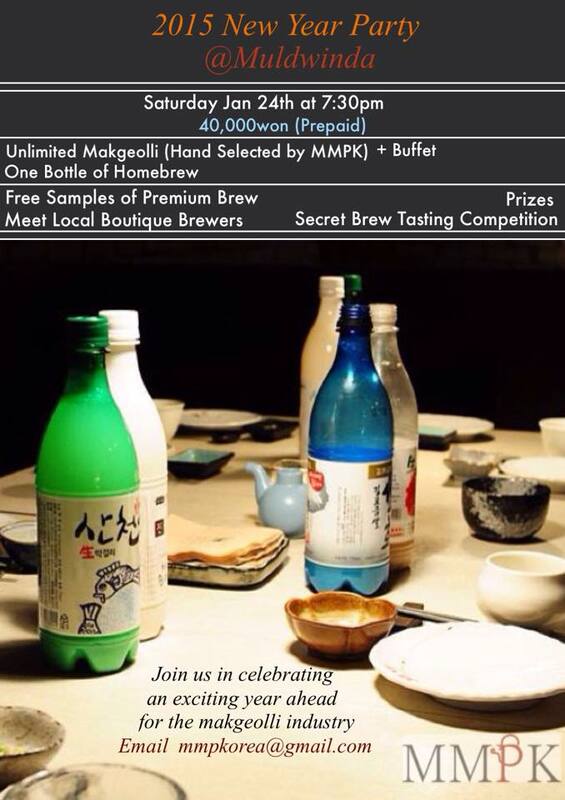 We have invited a range of premium brewers to showcase their Takju, and there will be a free tasting at the event. If you like what you taste, you are also welcome to purchase any of the brew on offer. We thought it might be a bit of fun to test those taste buds! In addition to the bottle of homebrew, we also brewed up a special taster with three secret ingredients. Upon arrival, you can taste and guess what those three ingredients are for the chance to win a prize. 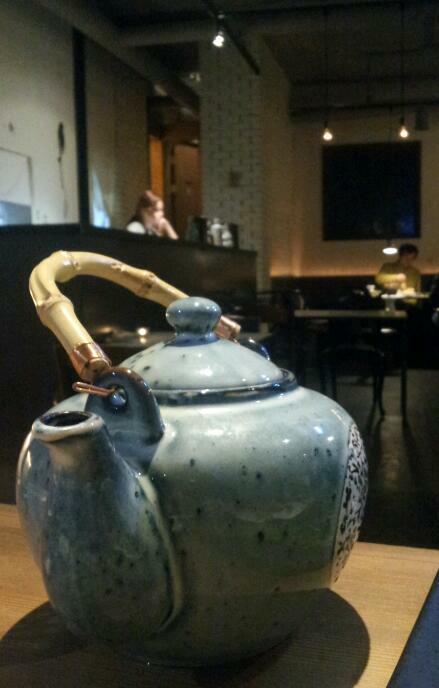 No good having a night of makgeolli without delicious food! To that end, there will be a buffet of all sorts delicious goods to pair with the brews. For those out there who have always wanted to know the face behind that premium makgeolli, we have invited some members from the brewing community to attend. You will have the opportunity to meet and taste their brews, and ask any burning questions you’ve always had. If you or anyone you know would like to join us in celebrating the start of what we hope will be a very prosperous year in the makgeolli industry, send us an email with the full name and contact number of those attending, and we will give payment details.